Maybe you are filthy rich and in the enviable position to furnish yourself a fantastic jewelry studio with the most expensive tools, in a quaint little cottage on your estate, complete with daybed, fire place, a dreamy porch to linger or a gorgeous English flower garden in which you can take leisurely strolls to gather new inspiration for your creations. Or maybe you are on a tight shoestring budget, because everything is getting more outrageously expensive ($4.99 for a pound of cherries – really?) and you are not only not getting paid more, but maybe not at all. Fret not! There is absolutely no reason to break the bank or feed the kids Mac and Cheese to save up for tools. You are in luck, because I had to read several books to learn what I am about to share here. And I plan to make this a regular feature, because there is no need to waste money needlessly! 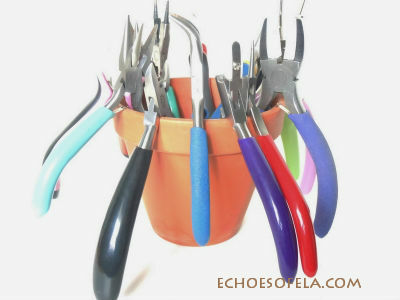 Low and behold, as I am cleaning odds and ends out of my studio, it dawned on me that I could use this little pot to hold my pliers and cutters – works like a charm! 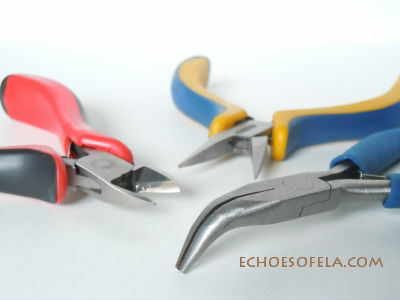 You could be fancy and use separate ones for different tools – it even looks pretty on the shelf! 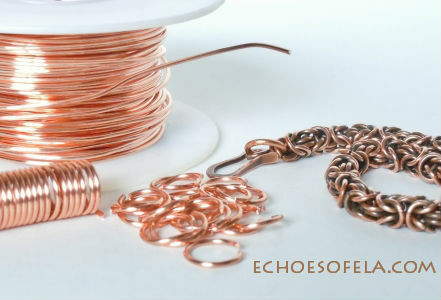 That little file does an awesome job on the ends of copper! These are a few of the more “specialized” and surprisingly indispensable items in my tool caddy. 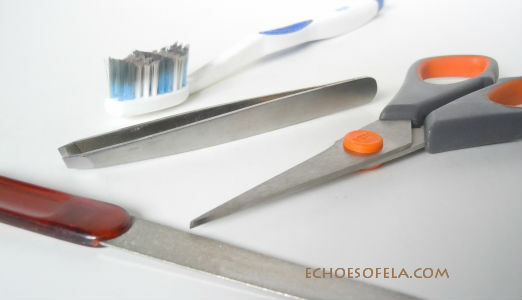 A pin vise for twisting wire etc, and a de-burring thingy that takes the OUCH off the end of the ear wire that actually goes through your ear. 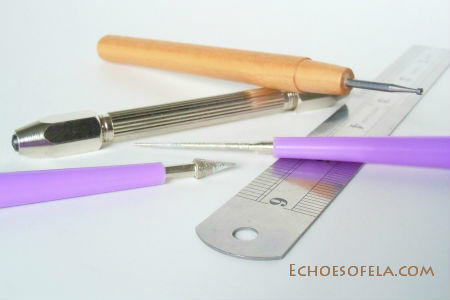 The bead reamers (in lavender) have come in handy plenty of times. Sometimes I think they use a different drill for each bead in the batch! I would like to share one other resource with you today, a site that I only found recently, but contains a lot of useful information and that is jewelrymakingjournal.com. Lots of great info there! Since I mentioned a few companies above I want to let you know that I am not getting paid by any of them to mention them here in my blog.